Flying the North American F-86A Sabre was, from a test pilot’s point-of-view, a fascinating glimpse into the designer’s mind at the end of the era of the high-performance, big piston fighters that had been the frame of reference up until that time, and at the very beginning of the era of jet fighters capable of sustained high transonic speeds. 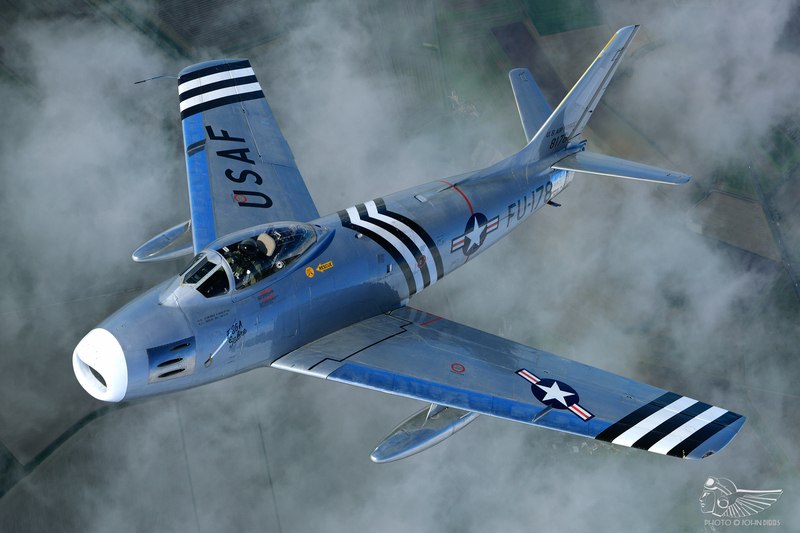 The designers had a whole new box of tricks including jet engines and swept-wing aerodynamics, and they knew that they could design and build aircraft with dramatically higher performance than the aircraft that had fought and won the Second World War. 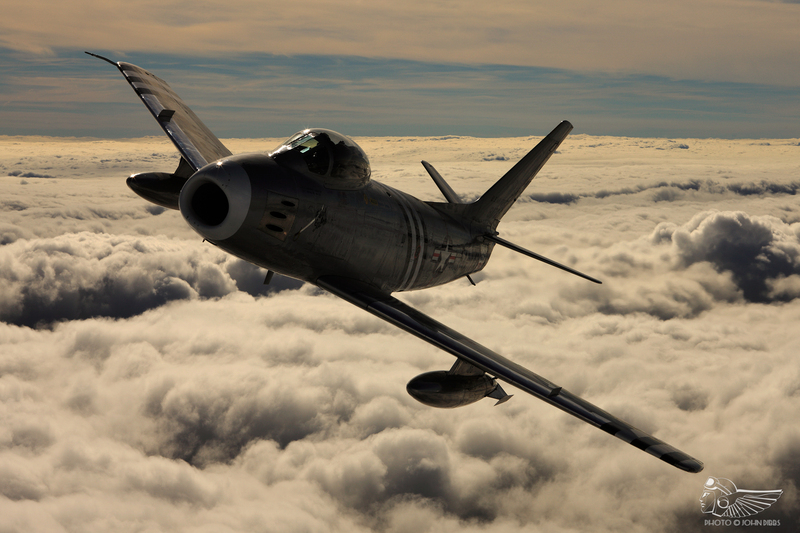 But it is clear when flying the Sabre that one of the key challenges of the design was in deciding upon a flight control system that would provide the handling qualities to match the new performance. Further challenges came from the demands of controlling the newfangled jet engine which, while providing exceptional power, needed an unusual degree of care in its management. 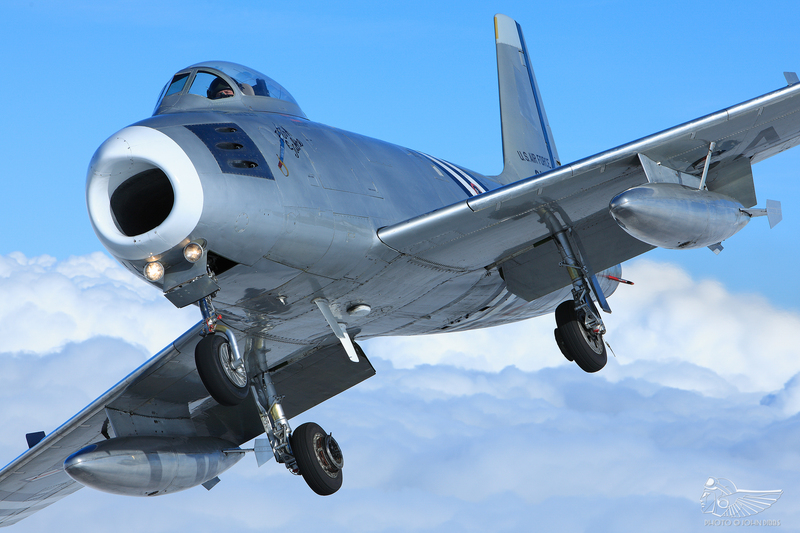 This short review focuses on the negatives, but these should all be set in the context of the stunning advance that the Sabre represented, its exceptional combat record and its role in showing the way forward for fighter development. I shall start with the engine handling. The challenge of handling the engine comes from the fact that, while there are some devices that are meant to help you, at all stages of flight fundamentally the pilot is the fuel control unit. Not since the rotary engines of First World War fighters had a pilot been so closely and essentially involved in the performance and health management of his engine. The challenges really begin with the start. With the throttle OFF, the engine master switch is set to ON and the electric starter is engaged. When the engine has reached 3% rpm the throttle is moved outboard against a spring and then eased forward to start the fuel flow to the engine as the engine reaches 6% rpm. It then requires tiny throttle movements to regulate the fuel flow – too much and the engine jet pipe temperature (JPT) soars up to the JPT limit (a complex limit involving both time and temperature), accompanied by a large flame from the jet-pipe which certainly catches the attention of ground crew and spectators; too little and the engine will not accelerate. I always found that using two hands helped, with one holding the throttle outboard and the other making the precise adjustments fore and aft. The start can last up to one minute, but if you get it right it is usually much quicker. Once the throttle clears the idle gate, which you check by periodically letting the throttle rock inboard, the throttle can be returned inboard to the idle position and the rpm should slowly settle at 34 – 38%. Once the after start checks are complete it is time to move off the chocks and this is one of the key danger moments for the Sabre pilot. I shall return to the idiosyncrasies of the nosewheel steering later, which add to the mix, but after mastering the start and all the checks one might have thought that taxiing away would be a low-key affair – far from it. The problem is that when the engine is turning very slowly – idling – the JPT is still very sensitive to small variations in fuel flow, so what might seem to be a small nudge on the throttle to get moving can easily cause a massive JPT spike and a serious exceedance of the JPT limits. So, again, just like the start, very small throttle movements are required to encourage the engine rpm to rise. Once the rpm is over 50% the sensitivity reduces markedly, but it is still there as we shall see. After the pre-take-off checks are complete the throttle is advanced, initially oh-so-slowly, but more quickly as the rpm builds such that at above 90% the throttle can be moved smoothly, but moderately rapidly to adjust power without continuous monitoring of the JPT. A surprise comes at about 85% when the cockpit and engine, having been quite noisy, all of a sudden become quiet as the canopy seal inflates. After a check of the engine parameters the brakes are released for take-off. Initial acceleration is leisurely but this builds as the ram effect of the air entering the big nose intake increases the air available to the engine and hence the thrust. As the speed builds it is necessary to monitor the rpm and JPT carefully and it is common for a throttle reduction to be required to keep everything within limits. With the gear up – the handle is a bit fiddly – and the flaps retracted 92% is set for the climb. Engine handling in flight is much more straightforward than on the ground but smooth throttle handling is essential if limits are not to be exceeded. 92% provides ample thrust for continuous low-level aerobatics. Descending requires the pilot to continually monitor engine rpm which will decay in the descent if the throttle is left alone. Stabilising on a speed and a height must be anticipated to allow the time to smoothly set the required engine power. Minor changes of power on the approach are easy as long as the leisurely response of the engine thrust to a throttle movement is anticipated. The final major ‘gotcha’ is the touch and go where it is advisable to touch down with approach power set; this allows fairly rapid acceleration of the engine to take-off power. The ‘gotcha’ is that if one instinctively reduces to idle for the touchdown then the procedure to re-accelerate the engine involves that long, patient process of coaxing the engine to ever higher rpms, during which the aircraft is eating up runway at about 90 knots, which can make the engine seem unusually recalcitrant and certainly leads to the potential for an overly quick throttle opening and over-temperature. The ground handling of the Sabre is dominated by the nosewheel steering which is effective but hard to engage and tiring to keep engaged. The nosewheel steering is driven hydraulically via a unit mounted around the nosewheel leg, but only when a shoot-bolt is engaged in a hole in the nosewheel leg. The shoot-bolt is engaged electrically when the pilot presses and holds a button on the forward face of the stick – the button is pressed with the third or little finger of the right hand and the spring is quite stiff making holding the button in for long periods difficult-to-painful. To successfully engage the nosewheel steering the shoot-bolt and hole must be accurately aligned, this is usually easily achieved when the aircraft is stationary and nosewheel is straight – such as it will be after start – but at any other time the process involves a degree of ‘fishing’, the only feedback from which is to try and move and steer the aircraft; no steering means more fishing required. The problem is exacerbated by the fact that the nosewheel, if not being actively controlled by the nosewheel steering, tends to castor away from straight when the aircraft moves forward which means that successive failures to engage the nosewheel steering can eventually result in the aircraft pointing at the edge of the taxiway with no room left to turn. For all these reasons, despite the pain, once on the move it is best to keep the nosewheel steering button firmly pressed in. In contrast to the nosewheel steering the Sabre’s wheel brakes are exceptionally good, providing excellent stopping power, very little tendency to fade and good feel. 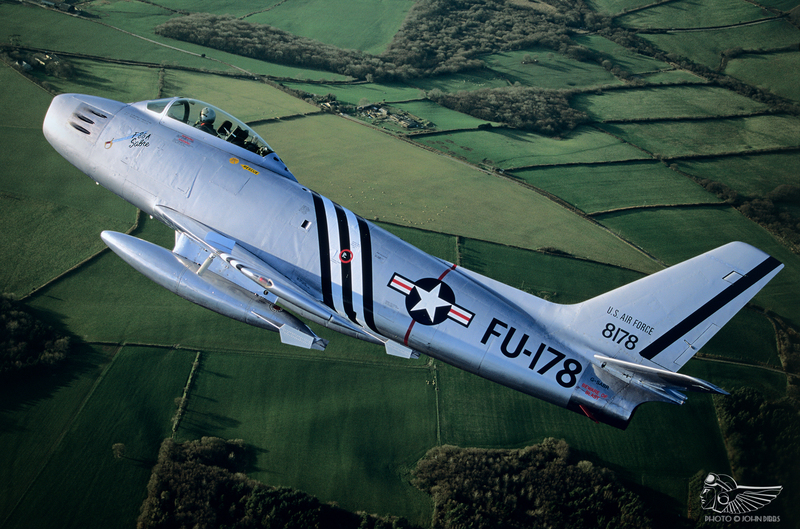 The flying qualities of the Sabre are a mixed bag and the subsequent modifications to the flight control system in later marks point to the problem areas. The designers clearly appreciated the additional control loads that would be generated at the higher airspeeds and Mach numbers that would be possible. Accordingly hydraulic boosting of the elevators and ailerons was introduced, more successfully for the elevator than for the ailerons as we shall see. An unpowered rudder was accurately judged to be adequate for the task. 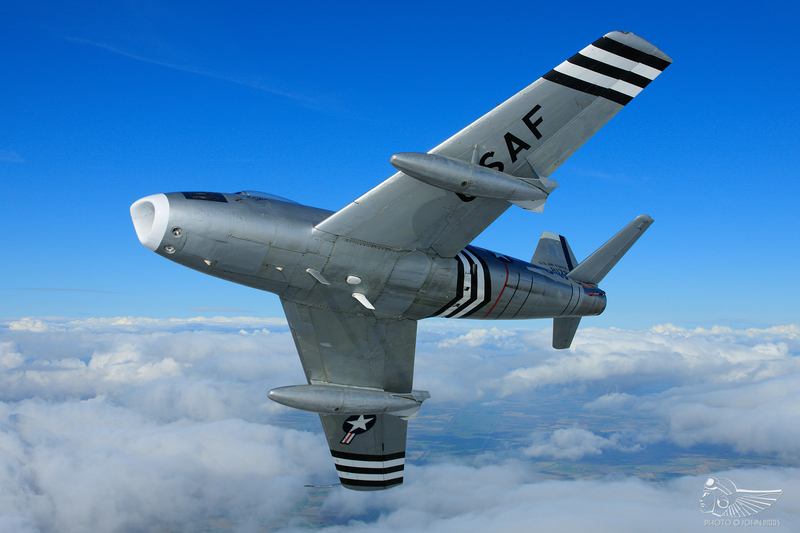 But the conventional tailplane and elevator combination proved inadequate for providing pitch control at high subsonic and transonic speeds and was later replaced in the F-86E by a then radical, fully powered, ‘all-flying tail’. Directionally the aircraft is a little loose at low airspeeds but not to a degree that causes any problem on the approach. The manual rudder is powerful and provides good control at all airspeeds. The aircraft has good longitudinal static stability at low-to-moderate subsonic speeds, it trims well and the control available from the hydraulically boosted elevator is powerful and precise. The change to the ‘all-flying tail’ came about because of the degraded flying qualities in pitch at high subsonic and transonic Mach numbers where the conventional elevator became progressively less effective and limited the Sabre’s manoeuvre potential at those speeds. 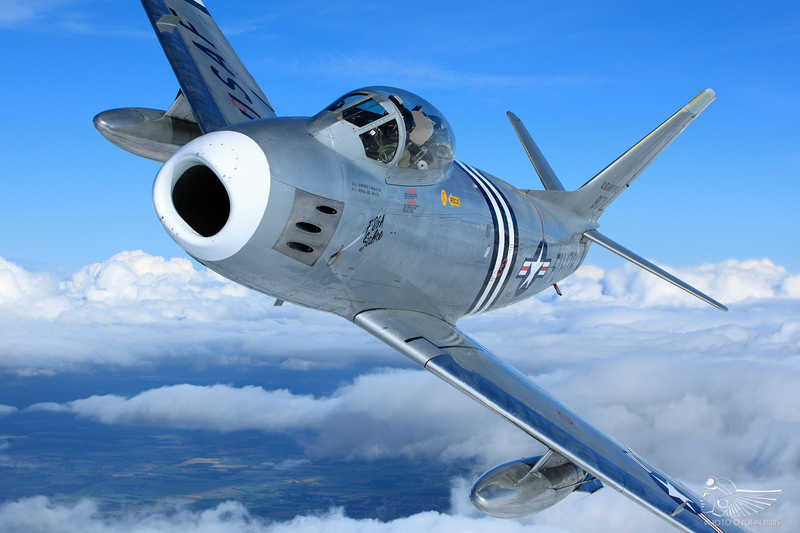 I have not experienced these issues as, in its air display role, it has not been necessary to operate the F-86A Sabre at the heights and Mach numbers at which the problems become apparent. The only oddity in the pitch is in turning hard, particularly at lower airspeeds, say less than 250 knots, when the aircraft shows slight manoeuvre instability – left to its own devices the aircraft will increase the angle of attack, and therefore the G, and so the pilot has to push the control column rather than pull, or at least not pull so hard, to prevent the aircraft from further tightening the turn. At speeds above 300 knots the handling in manoeuvre is conventional until the effect of higher Mach numbers starts to degrade the pitch control. 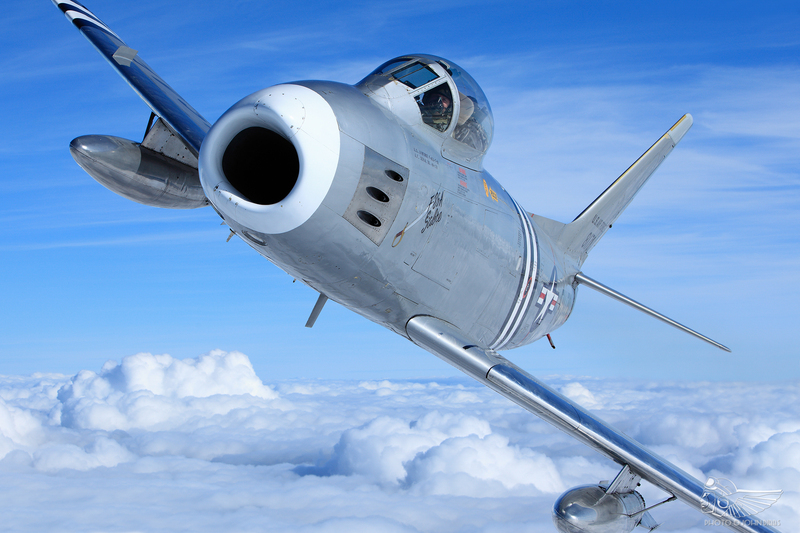 The rolling axis is the quirkiest control axis in the F-86A Sabre and this is largely due to the implementation of the hydraulic boosting. With stick within approximately ¾” either side of neutral there is no hydraulic boosting – this is fine as for such small control movements no boosting is felt to be required. However, for higher aileron deflections, and particularly at higher speeds, boosting is needed to move the very large ailerons on the F-86A. The design is such that with a stick deflection of greater than approximately ¾” either side of neutral a hydraulic valve is tripped open and this has the effect of introducing full hydraulic boosting immediately – there is no graceful and progressive introduction of boosting. For most operations even this crude implementation doesn’t cause too many problems and the pilot adapts surprisingly readily to the step change in the control force to roll rate relationship. However, the flight phase, particularly for the display environment, that really exposes the deficiencies in this implementation is formation flying.  In formation, as a leader or a wingman, the pilot is trying to manage his roll rate increases and decreases very smoothly either to give your wingman an easy time or to look suitably neat-and-tidy on the wing. The step in the force gradient caused by the boost switching on and off now becomes horribly apparent and it is very difficult to manage roll rate changes completely smoothly. An issue associated with the ailerons is the demand that they place on the hydraulic system, which is of limited power and capacity by modern standards. The flight controls are designed to be operated entirely manually to allow continued flight in the case of hydraulic failure. However, the control forces are very high at airspeeds above 200 knots and the facility is only intended to allow a safe return to base in such an emergency. But it is entirely possible for the pilot effectively to induce a temporary hydraulic failure by placing too much demand on the hydraulic system and the combination of airbrake extension and full aileron will do that very effectively. So the enthusiastic pilot, flushed with the success of his first flight and display practice in the F-86A Sabre, and who might be tempted to cap his superb performance with a punchy Derry break, will find that the simultaneous demand of extending the airbrake while rolling underneath on his break will temporarily exhaust the hydraulic supply and place the flight controls in manual just as he is reaching the inverted position. Yes, I have the T-shirt for that one! Keith Dennison is an independent aviation and business consultant who served in the Royal Air Force from 1975 to 2005. He attended and qualified the US Navy Test Pilot School in 1994 and furthered his test flying career at Boscombe Down, latterly commanding the Fast Jet Test Squadron there from 1995 to 1998 and holding the Chief Test Pilot position from 1999 to 2001. Upon leaving the military, he took up the Chief Test Pilot post for BAE Systems at Warton, leading developmental flight testing of the Hawk, Tornado, Harrier and Typhoon until 2008. Keith was also a pilot with The Shuttleworth Collection at Old Warden, and flew Hawker Hurricane Mk.I R4118 for several years. 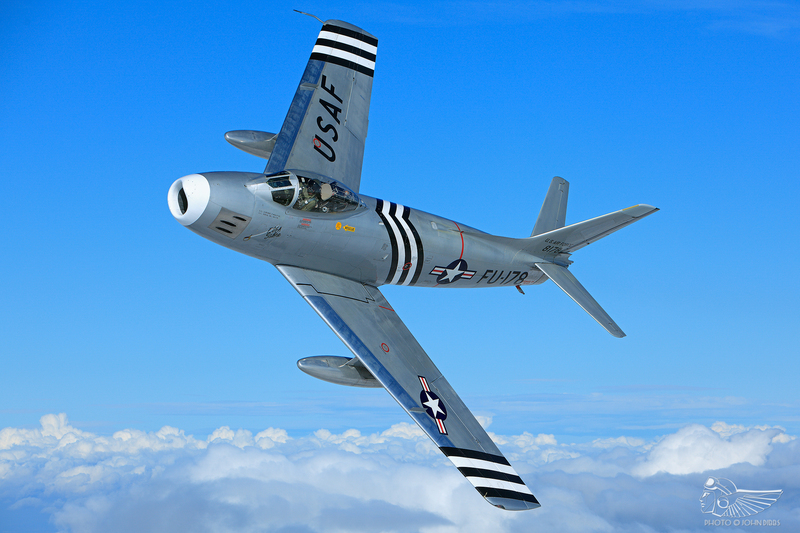 His career in the military and experience as a senior test pilot gives him tremendous fast-jet experience to draw upon when describing the traits of the F-86A Sabre.